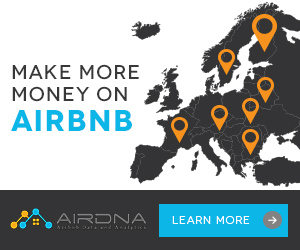 Want to make your Airbnb listing a money making machine? 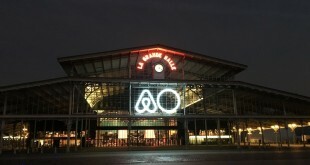 Read our notes from the recent session held at Airbnb Open 2015 in Paris. 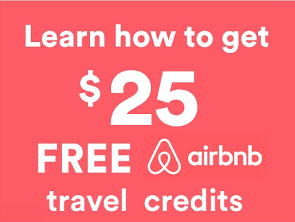 The first session I attended at Airbnb Open 2015 in Paris was Make your Airbnb Listing a Money Making Machine hosted by Rebecca Morgan, an Airbnb host from the US. She shared here insights and strategies on how to secure a constant stream of visitors to her rooms in her house in San Jose. What’s your unique selling proposition? What makes your space special? What separates you from your competitors? Make sure that you add your USP in your title (up to 35 characters) and/or your listing description. For us this is our view & balcony area, proximity to transport, the local restaurant and bar scene (not touristy) and well frankly us as great hosts. What is nearby that guests would visit? In our local area we have 2 major universities, the CBD of Sydney, dozens of restaurants, as well as businesses. The idea is to go and ask to speak to the person who makes suggestions for hotel bookings. Introduce yourself and ask how you could be added to the list of recommended nearby accommodation. 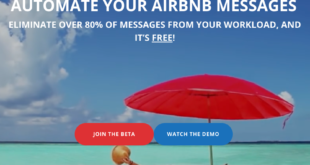 Use cheap printing like Vistaprint to create an Airbnb business cards for your listing and make sure you use a picture of your best feature and a description with the URL. Rebecca also shared her tips on how to rank higher in the Google Search Results for local accommodation. For instance when a person searches for Sydney accommodation UNSW. You should make sure you tick all of these off. List nearby attractions and travel times to each (walking, driving, public transport), including airport/train station. Disclose anything that previous guests have complained about that you can’t fix. The can’t fix is important as you can only fix what you can control. You can’t change the fact that their may be noise from local bars/restaurants late at night for instance. Disclosing these types of things will help you get more 5-star reviews. 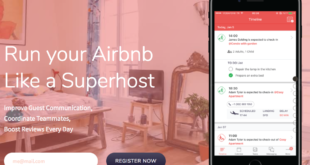 Rebecca then covered how to ensure you have an optimised Airbnb profile. Make sure that you include an image of you (or if like us we are a couple with a dog, an image of all three of us. Make sure it is a close up with no sunglasses/hats etc. Your guests need to see your face. Write a paragraph about you and your family (if they live at the listing) and include things such as hobbies, interests and your day job. Guests like to feel comfortable with the person with whom they are dealing. 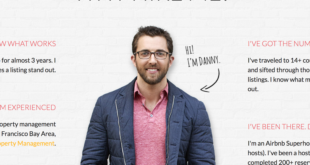 If you are using a property manager to look after your listing post a n image of them with info on him/her as well. And then the all important listing photos. I will cover this in a separate post but lets put it this way. Most people do not read your listing. Most will simply look at the pictures. 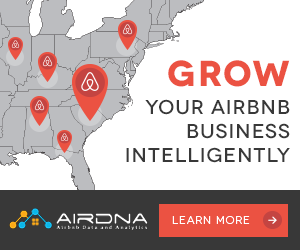 Airbnb confirmed this to be the case during Airbnb Open. So with that in mind the images of your listing are the single most important thing about your listing. So here are the things that need to be included. At least 10 good-quality photos of the rooms and areas that guests will be able to access (living room, dining room), and especially their room and bathroom. If they don’t have access to other rooms, don’t show them. Captions, captions, captions. – explain the benefit of each image to the guest. Avoid at all costs having simple one line captions. Ensure the space looks good. Clean, tidy and laid out well. Throw cushions on the bed always help and a fluffy blanket is another Airbnb hot tip to throw across the bed. Include the outside of the property and nearby sites (e.g., restaurants, bars etc). If the room has a view then include an image of it. Get Airbnb to send their professional photographer if available in your area. If not then take the time and expense to get a pro photographer around to do it for you. It will be worth the money. Include an image of the shower and or bath as people want to make sure it’s clean and mould-free. In the caption mention the hot water and pressure. Rebecca’s last tip was to make sure you comment nicely on every review you receive. This is simple and only takes 1 minute. I enjoyed this session, Rebecca has a good communicator and is clearly a good host. There were some good tips that I hadn’t considered about how to actively market your listing to local businesses, captions and images. I have updated much of my listing to reflect these points.